Brrrr! 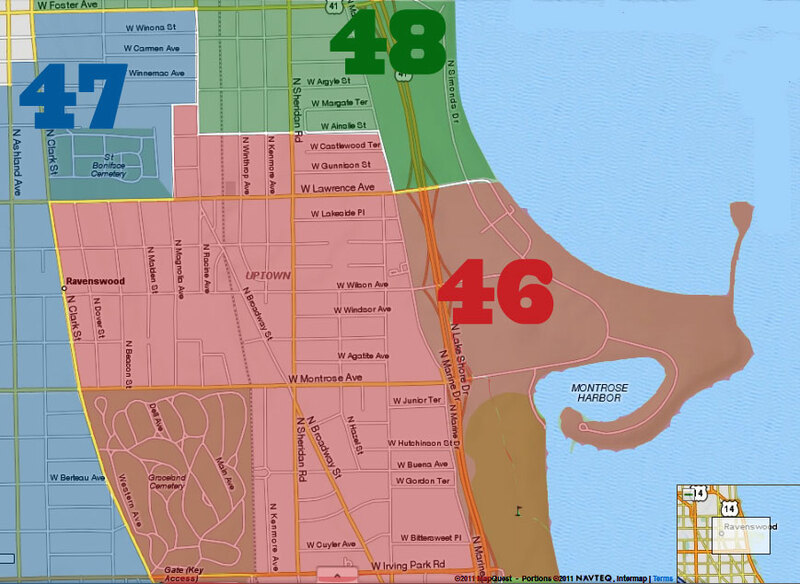 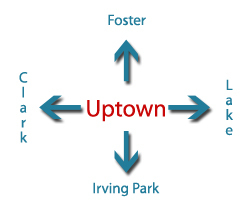 No matter how long you live in Uptown, there's always something new to learn. 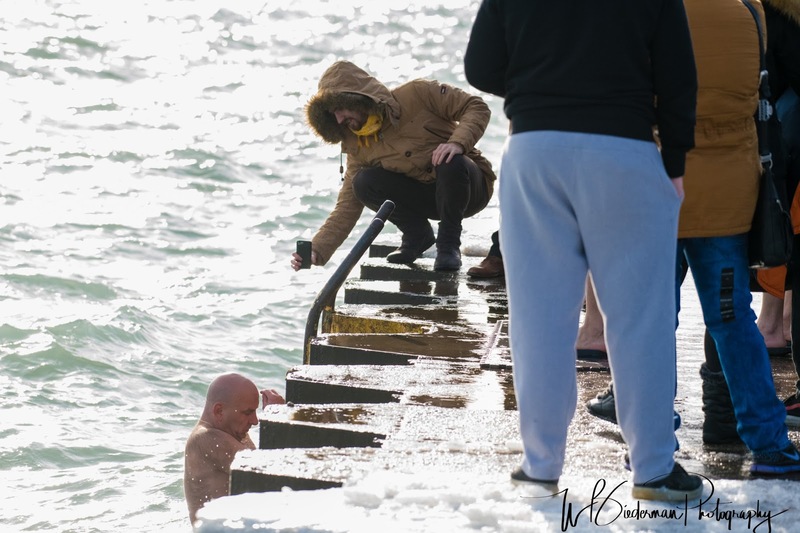 Thanks to reader Bill Biederman, who was there to record it, we discovered that it's a religious rite in the Russian Orthodox Church to take a plunge into water on Epiphany, which is celebrated by Orthodox Christians on January 19th. Priests are there to bless the waters, and the faithful dip themselves in three times, to symbolize a spiritual purification for the new year. 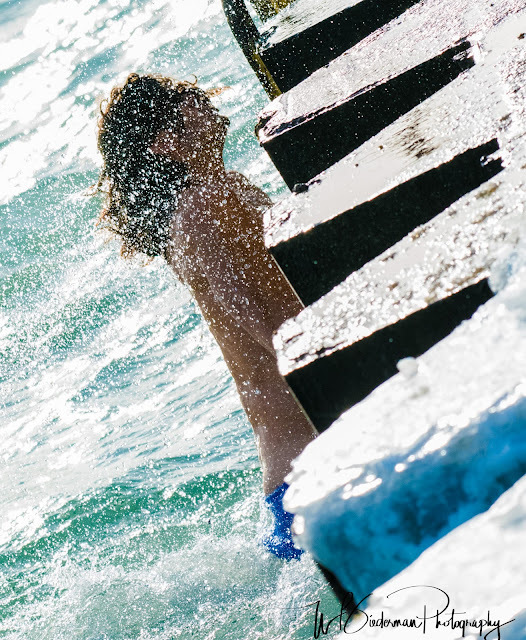 In Uptown, the icy water is Lake Michigan. 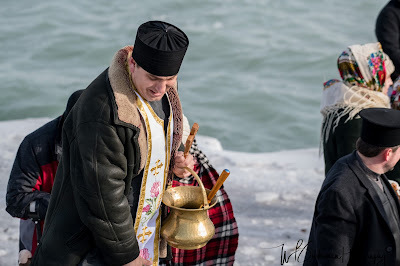 And so, last Friday at Montrose Harbor, there was a priest, and rescuers, and photographers, and people willing to go in for a brisk and chilly purification ceremony. 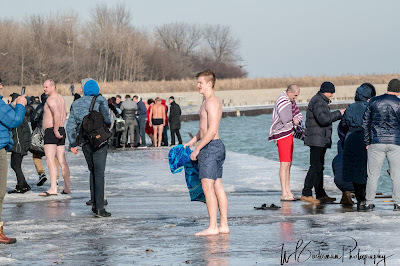 Bless their hearts - that takes a lot of faith (and gumption).